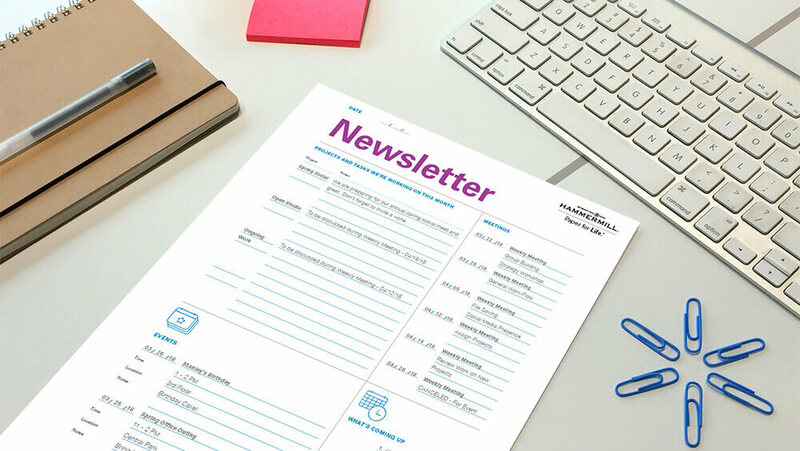 Reach your audiences with important information using our newsletter templates. Reach your audiences with the information they need. 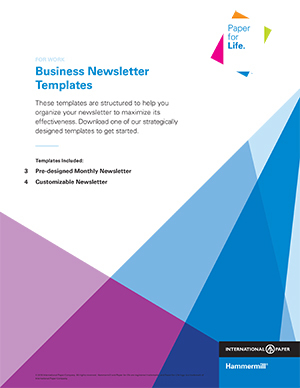 Our business newsletter templates help make organizing and writing your newsletter easier. Remember to print important work materials on high-quality paper such as Hammermill® Premium Multi-Purpose 24LB. printer paper.